Creating awesome short videos is easier than ever…if you know where to look. There are literally thousands of video editor apps designed specifically for Instagram, but most of them are absolute garbage. So we put together this list of the 15 Best IG Video Editor Apps so you can stop wasting your time trying sifting through trash, and dedicate yourself to master mobile video editing with apps that are worth the small learning curve. And if you’re a marketer, business owner, or even just an aspiring entrepreneur, then you definitely should keep reading. Even if you don’t know how to make video edits, many of these apps are so easy to use that they’ll have you making video magic in just a couple of minutes. Globally, over 5 million businesses rely on Instagram to engage with customers. These companies are under increasing pressure to put our top-notch video content to remain competitive. While still images still rule and written blogs are standard fare, there’s big money to be made in video marketing. 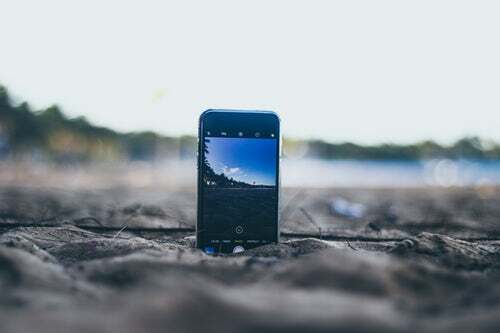 In this post, we share with you some of our favorite smartphone video apps for creating, designing, and editing Instagram vids that stand above the rest. Horizontal images for the vertical Instagrammer. 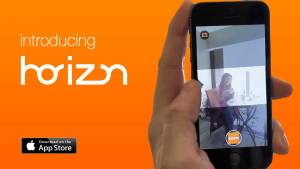 Horizon is an easy-to-use smartphone video app that has the unique ability to turn vertical videos on their side to display horizontal video. The idea is, many amateur ‘grammers make vertical recordings out of habit, and horizontal video stands out as a little more professional. Horizon comes equipped with up to 2k horizontal recording, eight filters, and 60 or 120 fps slow motion support. The smartphone video app is available for iOS and Android, though the iOS version comes with a few additional features. Finally, using Horizon is not just limited to Instagram—it can help you easily do a quick video upload to YouTube, Facebook, and other platforms as well! The makers of Promo say their app is the easiest video maker in the digital marketplace. Here’s why: users gain access to a huge library of licensed songs, premium video clips, and tons of templates. All you need to do is input your brand’s copy and go from there. According to Product Hunter, this product is worth the price tag—it’s a solid alternative to more involved video making apps such as Adobe. Before you write this off as just another app, know that Promo comes with a team of support staff ready to help you navigate the tool, plus a lifetime license for all your hard work. Your source for GIFs and short video content. Boomerang, available on iOS and Android, is an app that helps you create engaging content by letting you make your own GIFs and short videos. Boomerang shoots bursts of 10 photos and makes them into a looping mini video. It’s certainly a step up from standard still images! You can post your Boomerang creations straight from the app to Instagram or save them on your phone to use later. We like this smartphone app as an all-around powerhouse since it’s part GIF, part video, and part photo. All in all, it’s a fun way to show off your brand through the magic of capturing physics. Take your audio content to the next level. Anchor Video is the latest addition to the app Anchor, which allows users to transform audio content into animated videos. Here is how it works: upload an audio file into the app, and Anchor Video will transcribe that content into an Insta-friendly way to listen. This tool is ideal for marketers looking for a way to make their sound bites look a little cooler. Make your food videos a little tastier. We all see the rise of foodie Instagram accounts—we live in a world in which we stand in line for a dessert we likely won’t finish. It should come as no surprise there are smartphone video apps specifically created to capitalize on the desire to document the ice cream flavor of the moment, runny egg yolks, or avocado toast. While it’s more of a photo-centric app, Foodie allows you to create videos—up to 60 seconds in length—of your tasty treats. The benefit of using Foodie is that, quite frankly, this app makes anything edible look almost too good to eat. It’s the perfect addition to any brand strategy with a focus on food, whether it’s for restaurants, manufacturers, specialty grocers, or influencers. 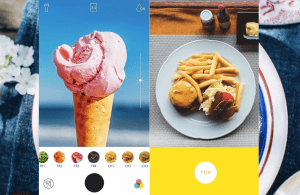 Foodie comes equipped with 26 filters and a range of editing features that can take your food pictures to the next level. Video editing, fast and easy. 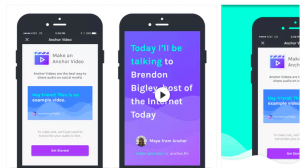 Another app that fits the “Canva for video” description to a T is Typito. It offers a collection of templates and editing tools, allowing marketers to create Instagram-friendly photos and videos. The app comes with full HD videos, unlimited exports, and social uploads straight from the interface—no downloads required. 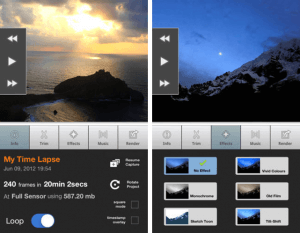 Amazing time-lapse videos made easy. Hyperlapse has been around for a few years, but it continues to delight us with timelapse videos you can share straight to Instagram. Hyperlapse features stabilization technology, which renders tripods unnecessary. According to Hootsuite, Hyperlapse is used by several major brands, such as Taco Bell, Mountain Dew, and Footlocker. The tool is great for sharing behind the scenes activities of your business. A great tool for e-commerce, Hyperlapse, for example, can give customers a taste of how the sausage is made. Use it to foster a more intimate connection between your followers and your brand by introducing them to your team. We like this smartphone video app because of its ability to showcase your products, service, and perspective in unique ways. Oh, yeah: and if you want, it’s also an app that speeds up videos as much as 40x! Videos for Instagram—directly from your iPhone. Launched in April of 2017, the Apple Clips app is an iOS (not available on Android devices) smartphone video app used to create and edit short videos complete with graphics, special effects, and text. It comes with some interesting features, such as facial recognition. Also worth noting is the Live Tiles feature, allowing you to create animated captions for your videos with Siri’s voice recognition technology. Additionally, this app takes facial recognition—the same function that IDs faces in your photo albums—a step further by finding those faces in your address book and allowing you to share a relevant video with one click. Apple Clips doesn’t allow you to post directly to Snapchat, but it works with Instagram and other popular social networks. That said, it’s free and easy-to-use, and it comes with all the built-in tools you’ll need to get the most mileage out of. Plus, you can easily stitch different video clips together, allowing you to show off the different sides of your brand. Create expressive content for Instagram—with no time limit. We mentioned VSCO in our Instagram photo app roundup, but this tool—which works on iOS and Android—edits both videos and still images. The video editor, launched in August 2017, is relatively new. It comes with several presets, tools, and educational content for just $19.99 per year. Additionally, VSCO supports 4k video up to 30 FPS, and 60 FPS up to 1080, with no size limitations or length restrictions. Free video edits without a watermark. 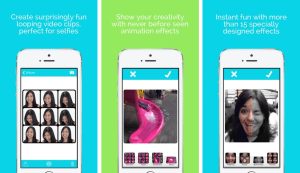 FilmoraGo is an at-home video editor you can use to gussy up your ‘grams. It’s a free smartphone video app that won’t stamp your photos and videos with watermarks or limit the length of the video you’re editing. FilmoraGo is one of the most versatile smartphone video apps in the App Store, allowing you to do a lot with your short videos. Think stitching clips together and adding transitions plus custom text and tiles. Know, however, that you’ll be investing some time here and there. This isn’t the app you’ll use to make quick fixes like with Clips or Quik. Additionally, although FilmoraGo is a free app, you will be prompted to purchase upgrades, themes, and additional filters. Another option for timelapse videos. Clearly timelapse is hot right now. The marketplace offers a large number of smartphone video apps dedicated to documenting the passage of time. Like Hyperlapse, Lapse It is another timelapse-oriented editing app for Instagram. It’s one of the top-rated, best video apps in the App Store and just the thing you need if you’re itching to give stop-motion a go. Lapse It is a native Instagram app, which makes for a seamless upload whether you’re on Android or Apple. A time-lapse app alone won’t be your only video editor, but it does help you put together some interesting content—polished videos showcasing your brand’s personality. Video filters for easy edits. Funimate is a popular video editing app. It’s easy to use; it’s not overpowered, and it’s great for making videos (including music videos!) from videos and photos you’ve already saved to your device. Funimate comes with 15 video filters you can play around with, but not much else. If you’re looking to bring some cinematic drama to your Instagram account, this isn’t the app for you. However, if you want an extremely fun, easy, and fast video maker, its effects are the perfect way to shake up your existing Insta feed. 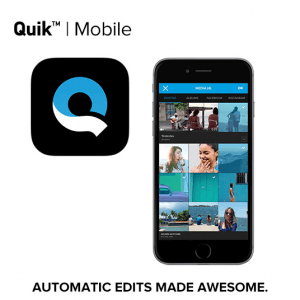 Quik, formerly known as Replay, was purchased by GoPro last year. Like the name would indicate, it is an extremely quick video editor, making it one of the best choices for video editing on the go. Although this smartphone video app is owned by the cam company, you don’t need to buy a GoPro to start creating content. Select highlights from longer videos or clip favorites manually if you feel they are worth sharing. After you choose a clip, you’ll be able to select from a pool of 24 different styles and then add text, music, and more. Quik has a slick interface and allows you to create some super professional clips in a hurry, saving you time and eliminating the need for a desktop computer. That said, some people may find this app a little too simple. You won’t have a whole lot of control since the app does most of the hard work. 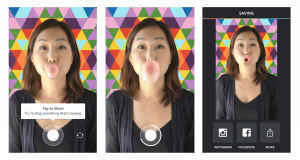 Overall, we think this app is a good choice for those newer to the Instagram video game. 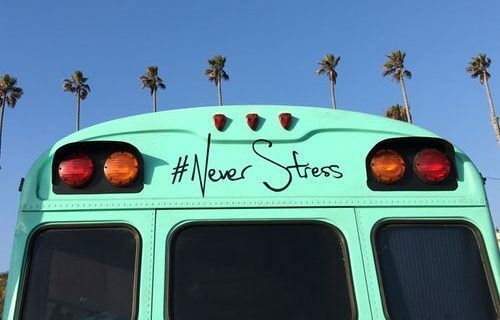 Insta, Snap—All In One Place. 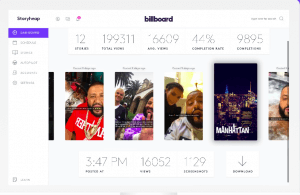 Storyheap is a tool designed to help you manage your Instagram and Snapchat stories from one single hub. If you’re thinking isn’t this just like any other social media management tool?, you’re not entirely off base. But Storyheap is specifically tailored to, well, stories and comes with a library of analytics tools to help you track and perfect your engagement. Though it’s still in Beta, the app comes with a feature called Storyheap Studio, which offers templates, custom designs, and more that bring your content to life. 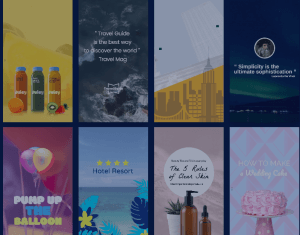 Fastory is an app described by Product Hunter as “Canva for Instagram stories.” For the uninitiated, this means you can create and edit graphics for your videos with minimal design know-how on your part. The Fastory process is a two-parter. First, you’ll use the editor to select an animation, add your video, and, if you’d like, add a logo. Next, after you hit “publish” on a story, you’ll get an email with the completed video, which you can then download and push to Snapchat, Instagram, or both. We like that Fastory is designed for brands—unlike other video editors. 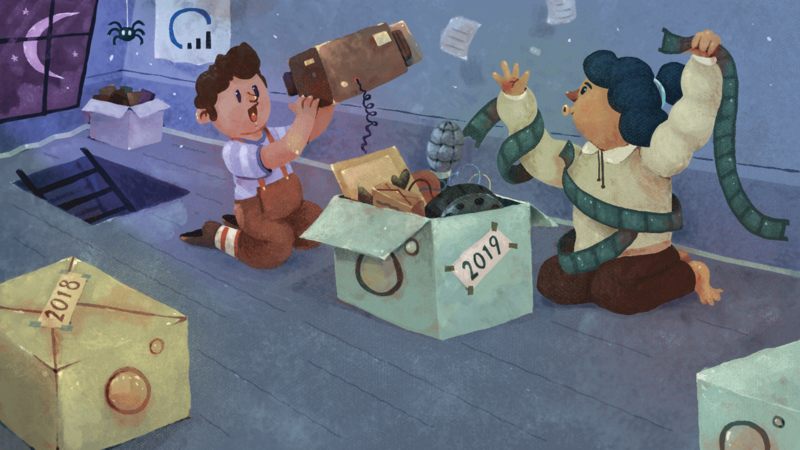 For example, when you create stories in the app, you’re prompted to select a goal, e.g., sign up for a newsletter, browse products, or connect on Facebook. So which Instagram App will it be? At Jumper Media, we know the right tools can help or hinder your Instagram success. We hope you found this list helpful. You might not be a trained cinematographer, but these apps hold the potential to boost the quality of your Insta-videos and, more importantly, your bottom line. p.s. want to bring a little life to your still photos? Check out our top-recommended photo editor apps here.